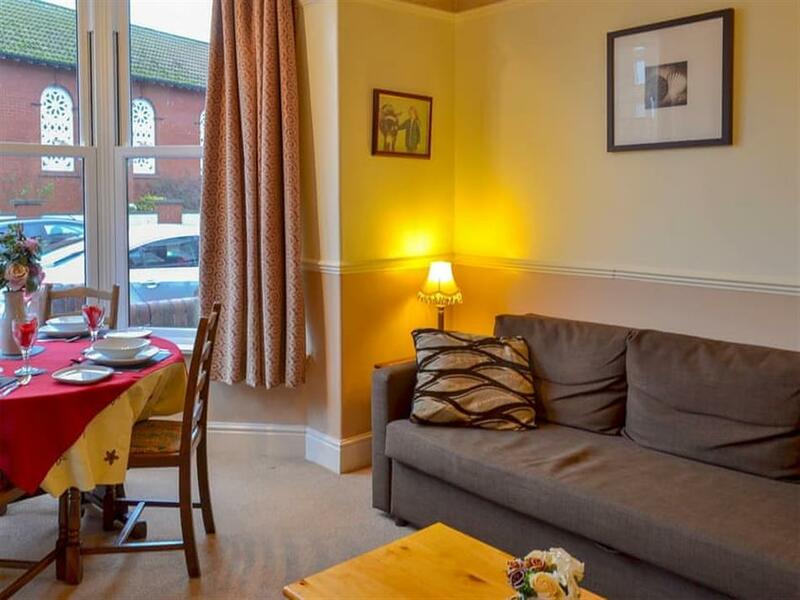 Lyncroft in Filey, Yorkshire sleeps 4 people. Lyncroft in Filey is a spacious ground floor apartment which is situated this resort, and is ideal for a family holiday. 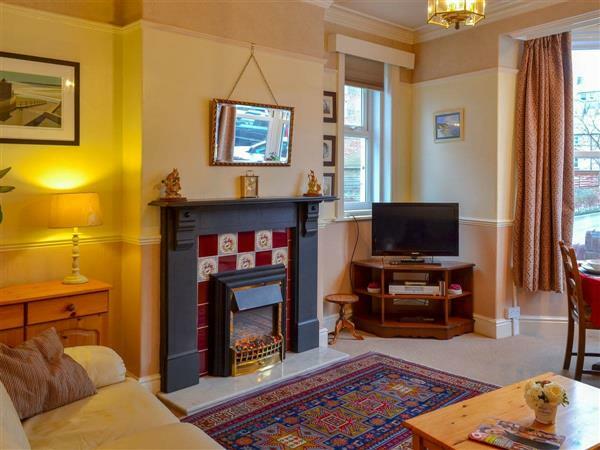 Located in a quiet area opposite St Mary’s Church, the apartment is just a short walk down to the seafront. Filey is renowned for its fantastic beach, and is great for those of you with children as the beach stretches for over 5 miles of golden flat sand, perfect for the kids to build sandcastles or a great walk for the dog. Filey is a small holiday town with plenty of shops, bars and restaurants, yet still retains its traditional seaside resort atmosphere which has proved very popular over the years. The seafront has a lovely promenade to walk along which leads down to Coble Landing where the fishing boats are kept. Further along there’s Filey Brigg where many a child over the years has spent hours rock pooling. This is also where you find the Cleveland Way, a 109-mile walk starting at Helmsley and finishing at Filey Brigg taking in the fantastic scenery of the North York Moors National Park. The east coast has some fantastic resorts all of which are just a short drive from the apartment. Scarborough and Whitby are to the north and Flamborough Head is to the south. The RSPB Nature Reserve at Bempton Cliffs is also close by where people travel from all over the world to see the puffins and other migrating seabirds that perch on the chalk cliffs. Trains run from Filey to York, Hull and Scarborough, and there is also a very good bus service from the town. Lyncroft makes a great base to see what Yorkshire has to offer, from the rolling hills of the Yorkshire Wolds to the wild North York Moors National Park, as well as all the market towns that Yorkshire is famous for. The beach is only 500 yards from Lyncroft in Filey. With the shop and restaurant 100 yards, and the pub is 150 yards from Lyncroft. Living/dining room: With electric fire and 32 Smart TV. Kitchen: Galley style with electric oven, electric hob, microwave and fridge. Sun room: With small table football. Bedroom 2: With bunk bed and Freeview TV. Gas central heating, electricity, bed linen, towels and Wi-Fi included. Highchair. Welcome pack. Bike store (in sun room). On road parking. No smoking. Please note: There are 2 steps to the rear entrance. Holidays at Lyncroft run from Friday to Friday. For a better idea of where Lyncroft is, you can see Lyncroft on the map below. Lyncroft is in North Yorkshire; should you be on the lookout for a special offer, you can find all the special offers in North Yorkshire. It's always worth checking to see what is on offer at the moment. Do you want to holiday near Lyncroft (UK2638), you can see other cottages within 25 miles of Lyncroft; have a look to find your perfect holiday location.